If we’re drawn to the same destination twice in one year, it must be a very special place indeed. Discover this amazing city with our Tallinn travel guide. We will show you our favorite sights and give our best travel tips. Your trust is really important to us: This post contains so-called affiliate links. Hi! We are Jenny & Basti. We’re head over heels in love with photography and traveling. 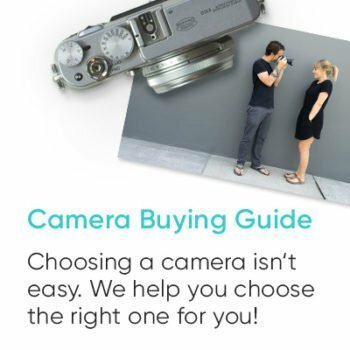 On our travel blog, we share useful travel tips and give you practical photography advice. We’re head over heels in love with photography and traveling. We turned our shared passion into our profession and have been at home everywhere in the world ever since. 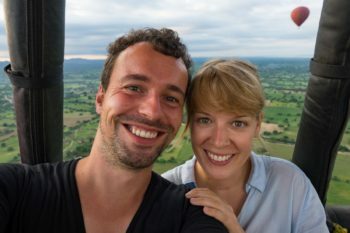 On 22places we share everything about our travels: with a lot of attention for details, inspirational, authentic, and above all: always honest. On our travel blog, we share useful travel tips and give you practical photography advice. Before we looked into Tallinn for the first time, we didn’t know much about the capital of Estonia. OK, if we’re being honest, we didn’t know anything and we weren’t really expecting much. So we were all the more surprised by what we found: one of the most beautiful old towns we’ve ever seen in all our travels! A city in transition, with a young and creative scene. And a city that is more modern in parts than we’ve seen anywhere else in the world so far. 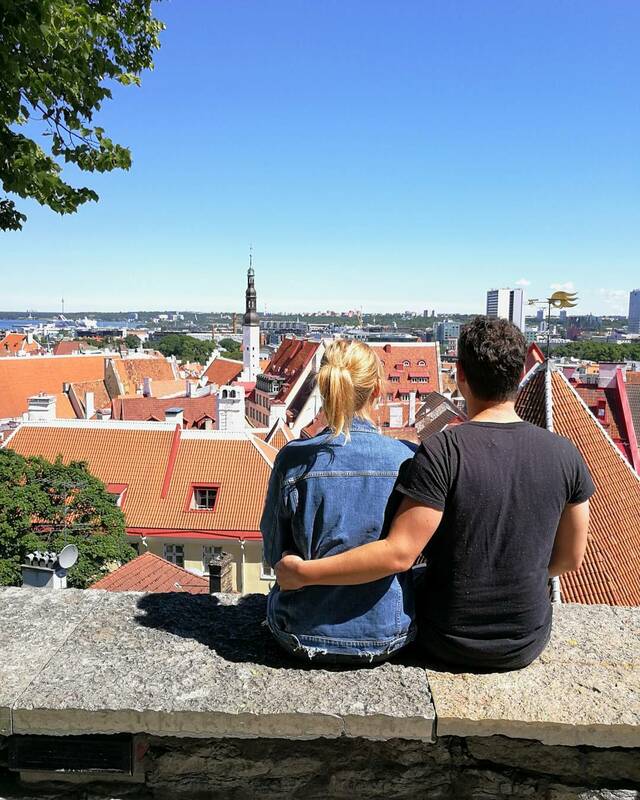 In a nutshell: Tallinn is absolutely worth a trip! 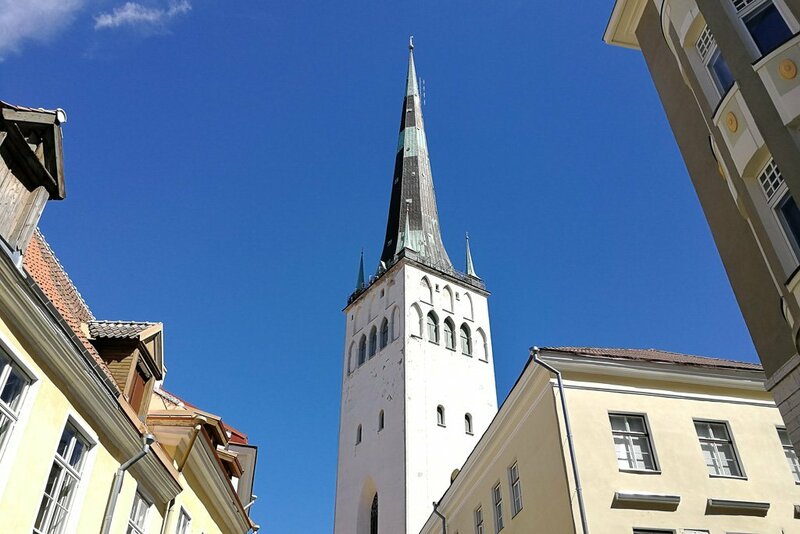 In this post, we’ll show you which sights Tallinn has to offer and we’ll share our best tips for a city trip to Tallinn. Tallinn is the capital of Estonia and has 430,000 inhabitants. That’s roughly a third of the Estonian population. Until 1918, the city was known as Reval. Public transport is free of charge for all residents of Tallinn. Free Internet access is a basic right in Estonia. So there is free WiFi everywhere in Tallinn. Tallinn is sometimes called the Silicon Valley of Europe. Lots of start-ups are based here. The most famous work by Estonian programmers is a little program you may have heard of… Skype. Estonia is the country with the highest share of women relative to its population in the world. There are only about 84 men for every 100 women. According to the WHO, Estonia’s air is the cleanest in the world. That all sounds pretty great, right? Tallinn has a wide variety of different sights and attractions to visit. In this section, we’ll tell you which sights you absolutely have to see on your city trip to Tallinn. 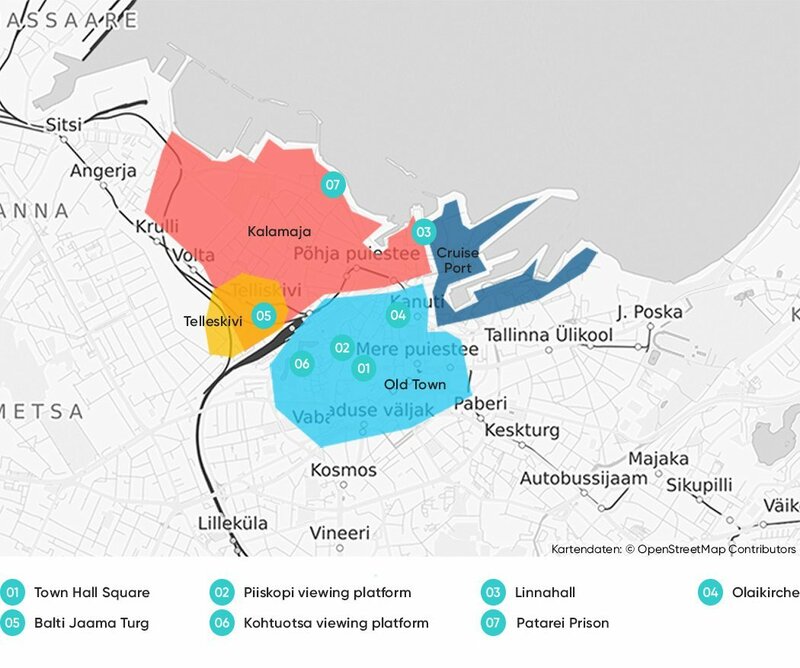 The following map shows the most important sights and districts in Tallinn. You’ll find a more detailed map of the Old Town below. The view of the city is really amazing! OK, this won’t come as much of a surprise. The Old Town is the absolute main attraction in Tallinn. Presenting all the individual sights within the Old Town would be well beyond scope of this post. After all, the entire area is a UNESCO World Heritage Site. The best thing way to go about exploring it is to just let yourself drift through the Old Town and discover the most beautiful places on your own. The Old Town is surrounded by a medieval city wall which is still preserved over a length of 2 kilometers. There are some great viewpoints in the Old Town. Our favorite was the Kohtuotsa viewing platform with great views of the east of the Old Town and the Piiskopi viewing platform in the west. But the tower of St. Olaf’s Church offers the best view of all. It costs 3 euros admission and you have to climb a steep, narrow staircase to get to the top. But the arduous ascent is rewarded with a magnificent view of the Old Town and the Port of Tallinn. Speaking of churches. Of course, there are loads of them in the Old Town. The most beautiful church has to be the Alexander Nevsky Cathedral, which was built in the late 19th century. The main square in the Old Town is the Town Hall Square. It’s always really crowded. There’s also a great Christmas market here during the pre-Christmas season. To the northeast of the Old Town is Tallinn’s main train station, called Balti Jaam (Baltic Station). 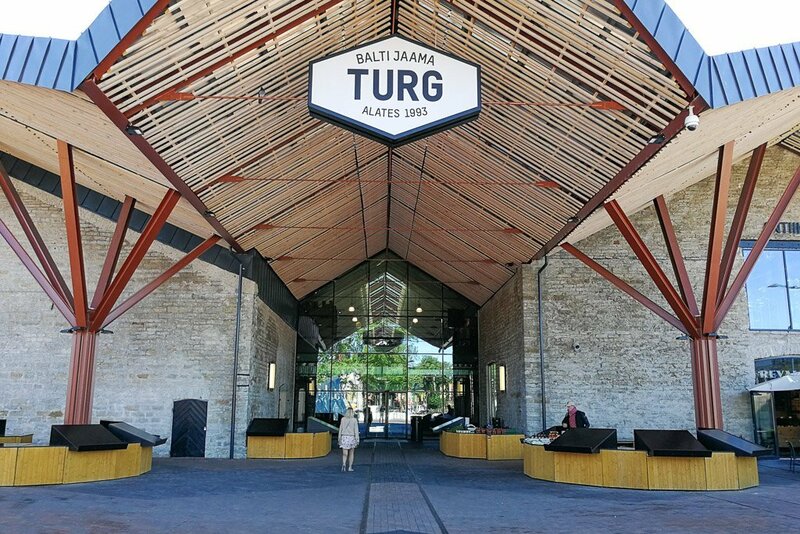 Right next to it is the Balti Jaama Turg, without a doubt the coolest market in Tallinn. 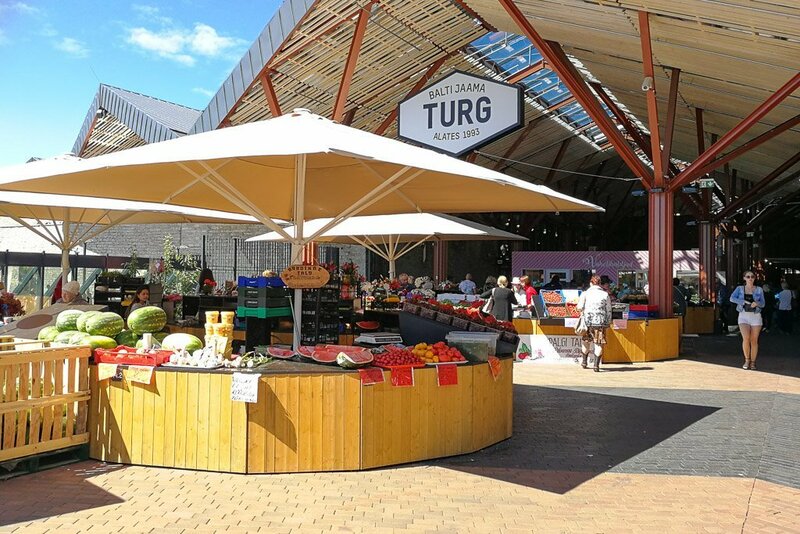 The market complex with its striking zig-zag roof has just been freshly renovated. Meat, fish and, vegetables are some of the things sold at the market. But we were most excited about all the food stalls. From Japanese soups to delicious burgers to vegan wraps, it has everything a gourmet’s heart desires. 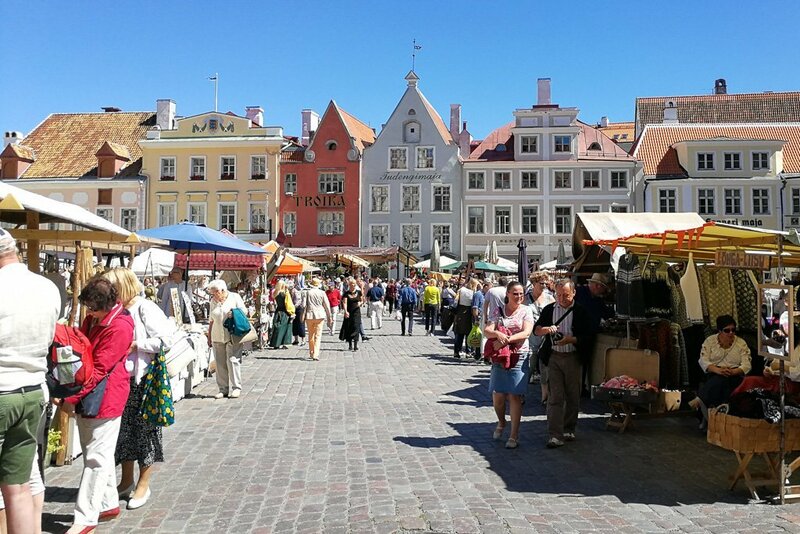 The area right next to the market hall offers a stark contrast: While the food stalls are mostly frequented by the young, hip residents of Tallinn, the antique market feels like you’ve traveled back in time 40 years. If you’re into Soviet trinkets and Lenin statues, you can stock up on them here. 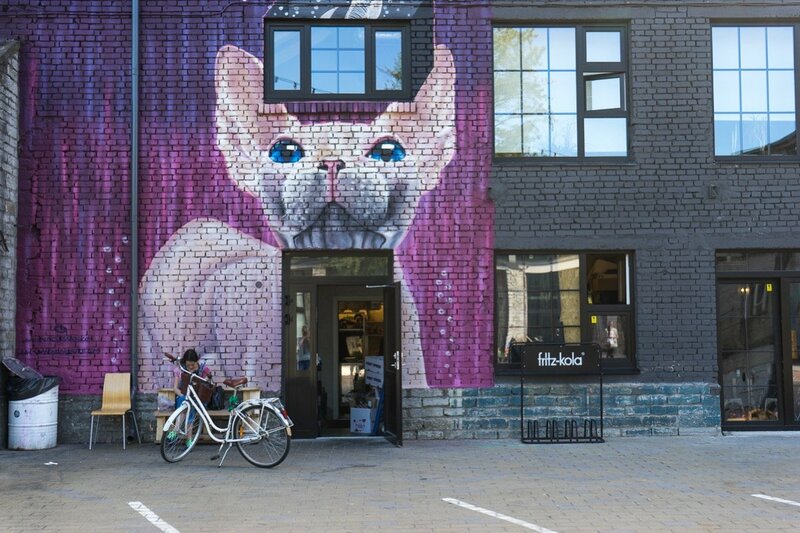 Next to the Balti Jaama Turg, Tallinn’s next attraction awaits: Telliskivi Creative City. 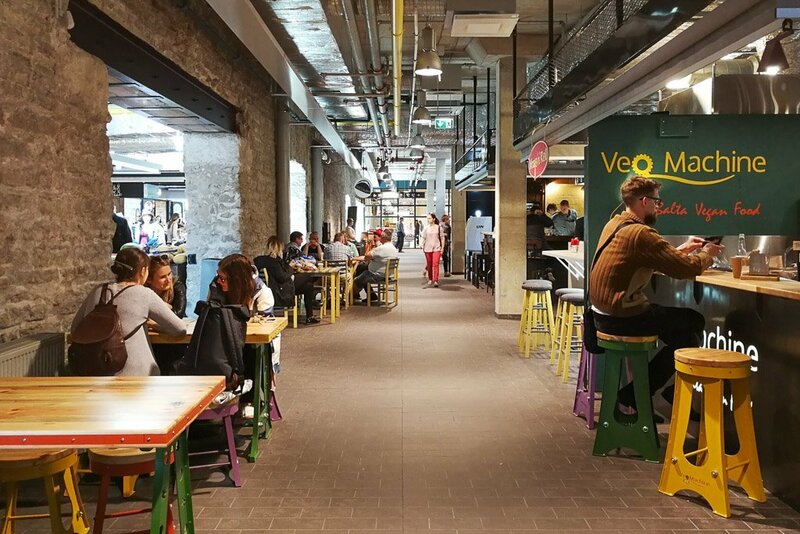 Creative companies, galleries, design shops, and some of the best bars and cafés in Tallinn have settled in this former industrial complex. Hundreds of events take place in the Telliskivi grounds every year: concerts, exhibitions, flea markets. You can find current information about events on the Telliskivi website. North of Telliskivi lies the Kalamaja quarter. The streets with their traditional, colorful wooden houses constitute one of the most popular residential areas in Tallinn. A stroll through Kalamaja, camera in hand, is definitely worthwhile. 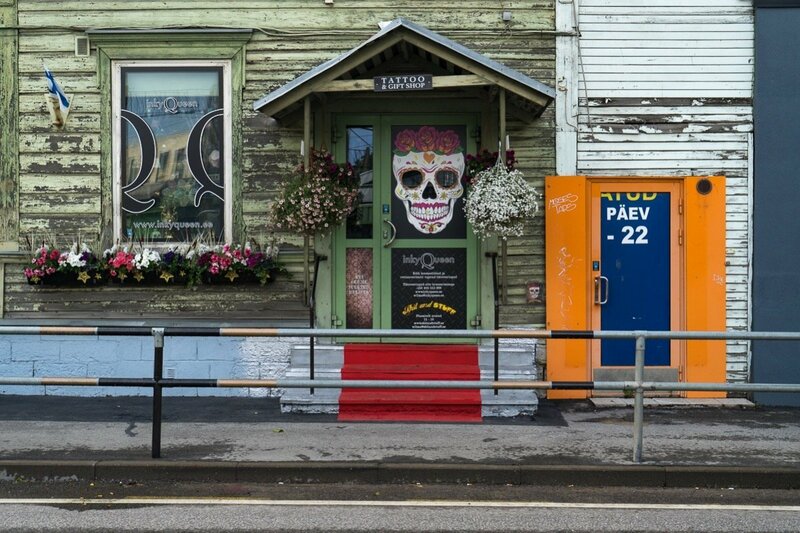 Colorful wooden houses are interspersed with old industrial buildings, now inhabited by creative types, and if you follow one of the streets in Kalamaja even further north, you’ll reach the Baltic Sea in a matter of minutes. Isn’t that great? Although Estonia was part of the Soviet Union until 1990, there’s hardly anything left to remind you of that time. A few prefab concrete blocks on the outskirts of the city and the Soviet antique market are some of the few remaining relics that still exude something like ‘Soviet charm’. But there are two more buildings that are inseparably intertwined with this historical era. One of them is Patarei Prison. The sea fortress Patarei was built way back in the 19th century, but during Soviet rule it gained sad notoriety as one of the worst prisons in the Soviet Union. Until recently, the prison was still open to visitors. Unfortunately, guided tours have recently been suspended. 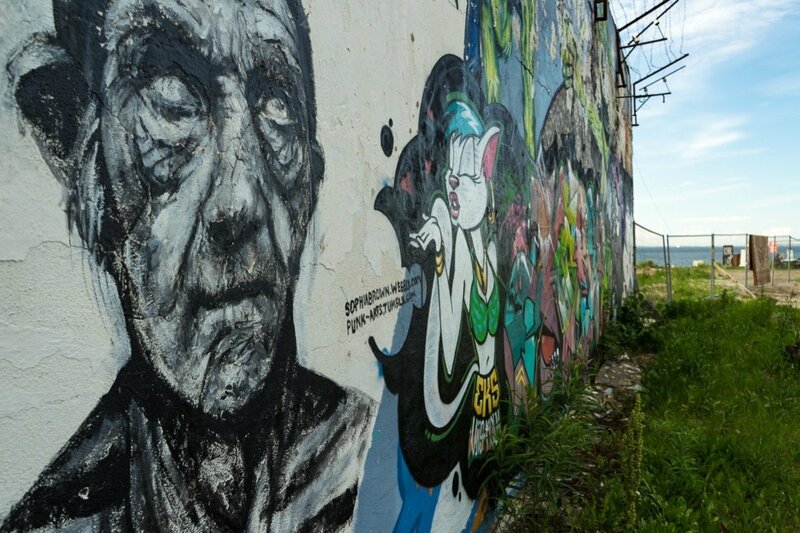 The future of Patarei Prison is a topic of heated debate in Tallinn. Proposals for its future use range from a cultural center to luxury apartments to the establishment of a memorial. You can find current information about the compound on the Patarei website. Very close by Patarei Prison, visitors are faced with a huge concrete monstrosity: the Linnahall. The Linnahall was built for the sailing competitions of the Summer Olympics in 1980, and for a long time, it was the largest the largest event venue in Estonia. But for years now, the building has been in a steady state of decay. Today, it mostly serves as a subject for oddball photos and a popular hangout to watch the sunset. Because the Linnahall is an excellent place to sit and look out onto the Baltic Sea. That’s definitely something you should do when you’re in Tallinn. We had such great food in Tallinn! And drink! So of course we want to share our favorite spots with you. Kivi Paber Käärid has this amazing chocolate cake! Kivi Paber Käärid translates as “Rock, Paper, Scissors”. There are some great sunny spots outside where we spent many a lazy afternoon. The beer menu is several pages long and they also have delicious food there too. 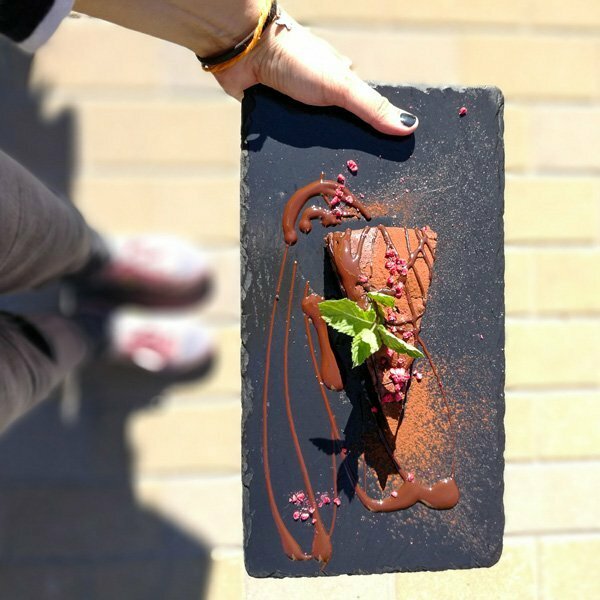 The vegan chocolate cake with raspberries is an absolute dream! The Pudel Baar directly opposite is also pretty great! Opens daily from 11 am to 11 pm, address: Telliskivi 60a C4. The Surfcafé is a small stall in the Balti Jaama Turg market hall. They say the barista is the best in all of Tallinn, and it’s true – the coffee is outstanding. You have to try the filter coffee. OK, that may sound a bit weird, but trust us, it’s extremely delicious. Opens daily from 9 am to 8 pm, address: in the market hall. Also located in the market hall, just two stands from the Surfcafé, you’ll find the Veg Machine. It serves exactly two dishes: vegan wraps and vegan burgers. Both are supper-yummy, even for non-vegans. You should definitely try it! Opens daily from about 11 am until they run out (usually at around 7-8 pm), address: in the market hall. Really delicious wraps and burgers! Just try it and don’t let the word ‘vegan’ scare you off. The Boheem Cafe right by the entrance to Telliskivi Creative City offers delicious food from breakfast to dinner around the clock. Nothing fancy, but it’s all very tasty. Open daily from 9 am to 11 pm (from 10am on weekends), address: Kopli 18. Die local café chain Reval Café runs 14 cafés in Tallinn. Besides good coffee, they also offer tasty snacks. The ‘Reval Breakfast’ is really great, a kind of Estonian farmer’s breakfast. Delicious! Opening hours and address on the Reval Café website. Klaus is located between Patarei Prison and the Linnahall and offers delicious, young cuisine in a stylish setting. Open daily from 9 am to 11 pm (from 10am on weekends), address: Kalasadama 8. The fastest way to get to Tallinn is by plane. 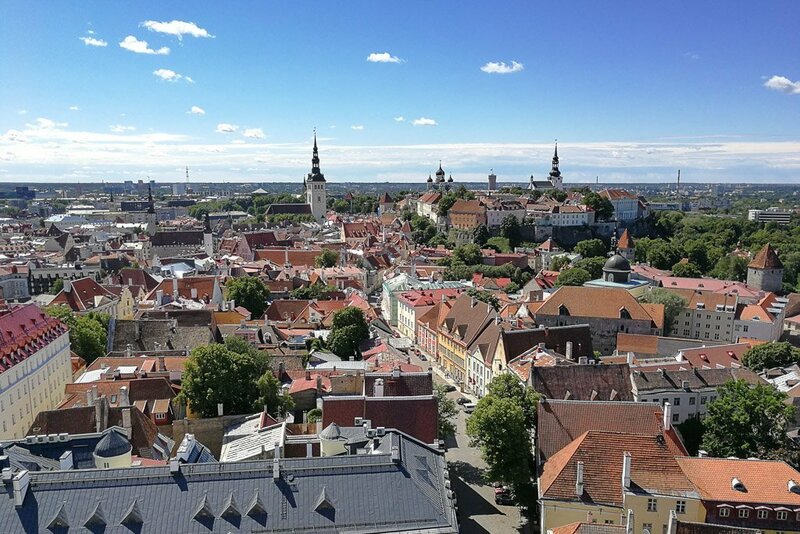 You can easily combine a trip to Tallinn with one of the other cities in the region, e.g. Helsinki or Riga. There are direct connections to Tallinn from major hubs all over Europe. Ryanair flies to Tallinn from Bremen and Weeze. The Polish airline LOT offers direct flights from Hamburg, Berlin, Munich, and Vienna several times a week. Air Baltic flies directly to Tallinn from Berlin and Vienna and Lufthansa offers direct flights from Frankfurt and Munich. The small airport of Tallinn is actually very modern and one of the most pleasant airports we’ve been so far. It’s also only a stone’s throw from the city center. In front of the terminal, there’s a taxi rank where you can catch a cab to downtown Tallinn for 10 to 15 euros. A cheap alternative is to book a ride using Uber. That only costs about half as much as a taxi. The cheapest option of all, however, is to catch the number 2 bus, which also goes to the Old Town. Tallinn and the Finnish capital Helsinki are only separated by a two-hour ferry trip. Different companies serve this route, so there are usually several ferries per hour. 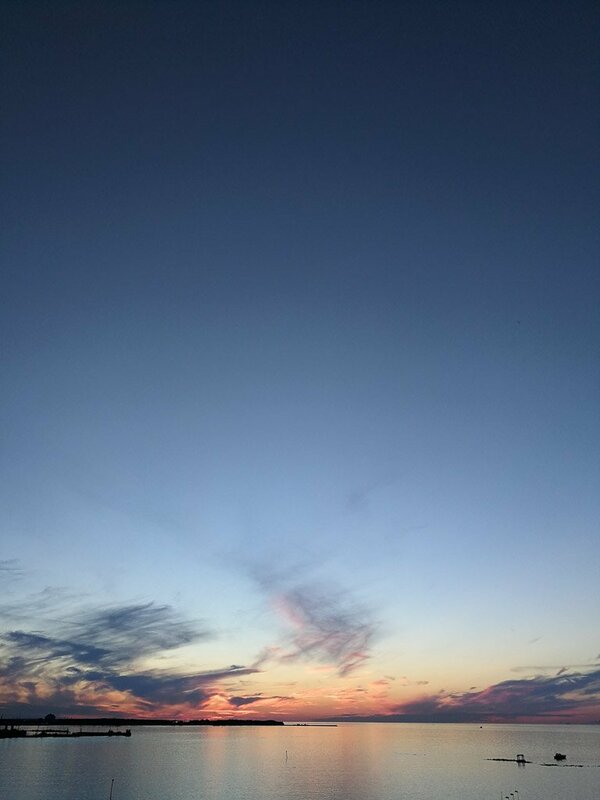 We took the Tallink Silja Line and everything worked out perfectly. Tickets start at about 20 euros. If you only want to go for a day trip, you can also get cheap day return tickets, which take you to Helsinki and back (or vice versa) for about 25 euros. Tallinn is also very well connected with the Latvian capital of Riga. The bus company Ecolines connects Riga and Tallinn with very comfortable buses and up to 7 trips a day. The journey takes about 4 hours and costs 18 euros. If you book very early, you can get even better deals. You can just book your tickets online here. If you’re in the mood for something a bit more adventurous, you can also take the train from Tallinn to Riga. However, it isn’t any cheaper, takes much longer, and you have to change trains once, but it’s much more adventurous. Tallinn is really very compact, so it isn’t that hard to pick an area to stay. The Old Town is the most sought-after residential area in Tallinn, it should come as no surprise that room rates here are relatively high. But it also has some really pretty and special hotels. Special: If you’ve always wanted to live like a princess in a tower, then the Rapunzel Tower Apartment is the perfect opportunity to live out your fantasy. The tower room is located right inside the city wall and is definitely a unique experience. Stylish: At the northern end of the Old Town, The Three Sisters Boutique Hotel is located in a 14th-century building. Medieval walls meet modern design. We liked it a lot. Cheap: Of course there are also a few cheap hostels in the Old Town. Some are rather awful, but there are also some really good alternatives, including the Old Town Hostel Alur and The Knight House. Our favorite neighborhood in Tallinn is Kalamaja. It’s located well away from the tourist action, but it’s only a few minutes’ walk to the Old Town. There are actually no hotels in Kalamaja, but it has some very nice apartments. Here’s an overview of available apartments in Kalamaja. The hotels in the area to the west of the Old Town mostly cater to business travelers with room rates in the upper range. The Old Town is within easy walking distance from here. The Sokos Hotel Estoria, the Nordic Hotel Forum, and the Tallink City Hotel are among the best options. In principle, you can easily explore Tallinn on your own. The city isn’t very big, and almost everything is within walking distance. But nevertheless, we still recommend taking a guided tour because a tour guide can always give you a different perspective on the city and provide you with invaluable insider tips that you would never hear about otherwise. You can book a private tour of the city right here. The great thing about this tour is that you have the guide all to yourself and aren’t stuck with a group. A completely different way to discover Tallinn is by bicycle. This tour will take you beyond the city walls of the Old Town to lots of really interesting places in the area that you probably wouldn’t get to see otherwise. You can book the tour here. As we already mentioned, Tallinn is extremely easy to travel. But we still have some additional information and extra tips for you. Money: The official currency in Tallinn is the euro, but card payments are extremely common here too. Even tiny stores accept cards. We always take our two travel credit cards wherever we go, so we were able to pay and withdraw money in Tallinn with no extra fees. What to pack: As Tallinn is located very far north, it gets pretty cool even in the warmest summer evenings. So make sure to pack a sweater or a jacket. In summer, sunscreen makes a lot of sense too because you can get a sunburn much faster than you may think. And if you’re planning to visit the Estonian national parks, don’t forget to take mosquito repellent. More tips for your trip to Tallinn? Right, those were all our tips for Tallinn! Have you booked your flight to Tallinn yet? No? Then go ahead and do it. You won’t be disappointed! Do you have any questions? Then feel free to ask us in the comments. If you’ve already been to Tallinn and have a tip for us that we absolutely need to add, then please let us know in the comments below. In our newsletter we regularly share our best travel and photography tips with you. 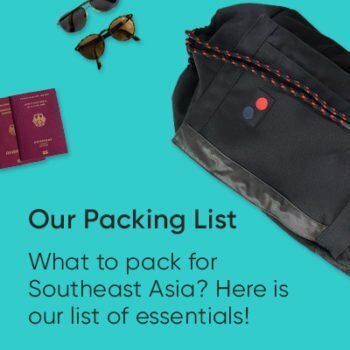 Sign up now and receive helpful tips and information as well as a huge dose of inspiration for your next trip!